Hi, my name is João Eriberto Mota Filho. 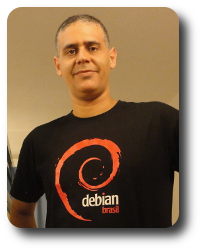 I am Brazilian and a Debian Developer. My official site is here. My main focuses are packaging and help new maintainers. Thanks for visiting. See below some interesting itens. Some people are using my fake packages and you can see the results in my DDPO. Look at 0.No-Site, 0.No-Release and 0.No-Track. Feel free if you want to use this solution. status of the original upstream homepage. There is a post about it in my personal blog. To read, click here. Another post in my personal blog. To read, click here.